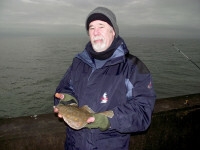 After Saturday’s enjoyable session, I decided on another daytime foray after herring and plaice at Brighton Marina. The plan was to get there early and have a few hours fishing up and over the 2.30 pm high water. I got to the East arm at about 6.30am and while waiting waited for Frank to appear to unlock the gate, I had a look around at the conditions. 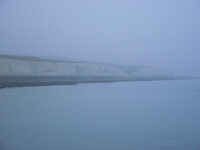 The air was misty and pretty still apart from a very light Easterly breeze. 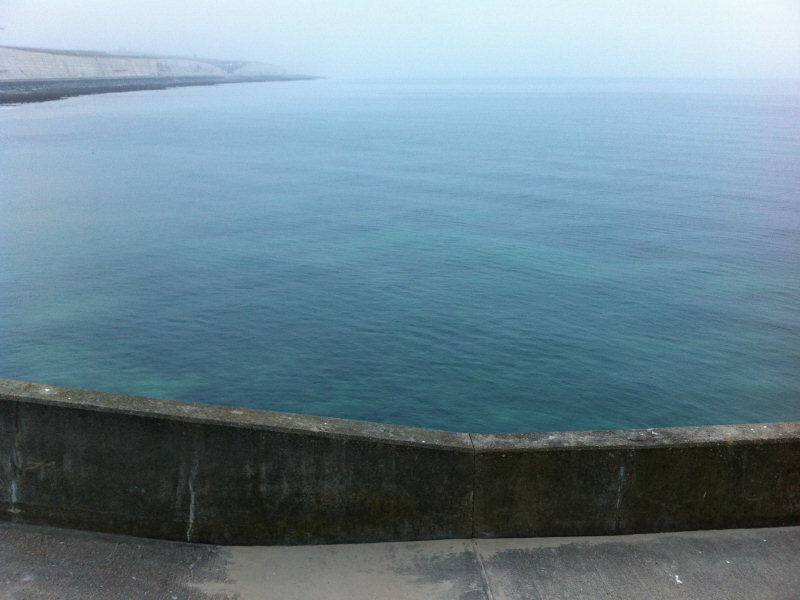 The water was gin clear and calm with just the hint of surface ruffling. Looking to the cliff tops, I could see my place of work and I thought of my unlucky colleagues doing the early morning bus run while I was out here relaxing. Being the efficient and conscientious type, it wasn’t long before he arrived and by about 7.15, I had both rods set up and was fishing. The routine was the same as before, one rod – running ledger, long ‘blinged’ hook length with beads and shiny Tronix spinner blade ending in a size 2 Aberdeen hook baited with lugworm and squid strip to try and tempt the plaice.The second rod was equipped with a string of size 12 Sabiki’s for the herrings. It wasn’t too long before I had the familiar tugging and wriggling of herring on the Sabiki’s and they were soon swung in and dropped into the dinner bucket. A short while later, a couple of knocks on the other rod showed that there were signs of interest in the worm bait. 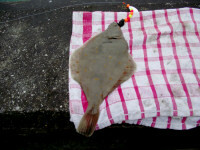 I left it to develop while I slugged down a cup of hot ‘mud’ coffee and then returned to it and brought in a small plaice – too small for the table, so back it went. Signs were good and I hoped for a half reasonable catch throughout the day. Unfortunately, the fish had a different plan and were not in a co-operative mood. I was soon joined by a couple of guys from WSF, Steve and Martin aka ‘Mesito’ and ‘Bubbles’ who set up in the bays to my left. They didn’t take too long to get in amongst the fish and in the time it took me to write this, they had overtaken me in the catch rate. 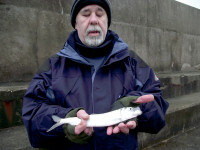 Another fishing nut, Steve aka ‘scottish_and_mental’, from a different forum I inhabit came over a chin wag. 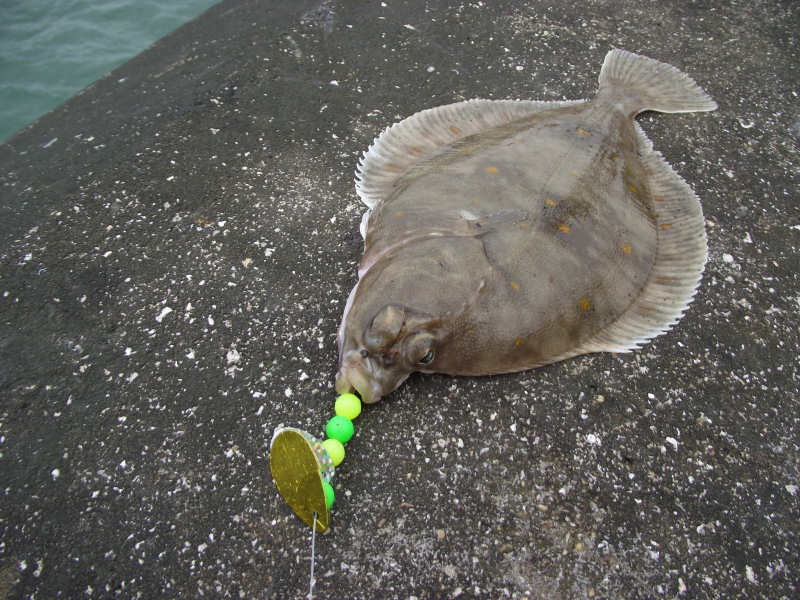 He was up for the day from down the foreign Western parts along with fellow fanatics, ‘DannyFisher’ and ‘Jaycee’ to try and plunder our plaice stocks. 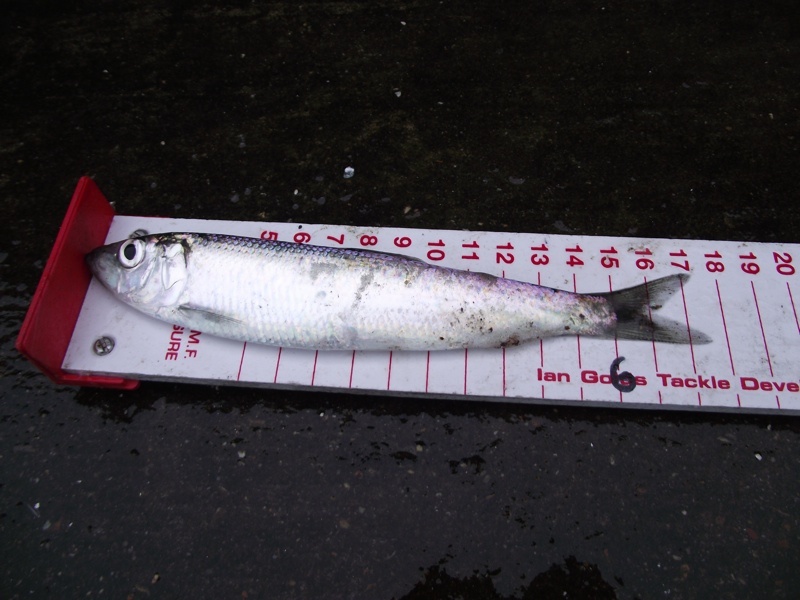 For me, the fishing was dead slow all day, with very little activity on the worm rod and just a few herring showing to the lures. I knew I had to leave before 3pm, so that I could get home, get scrubbed up and ready for work that evening, so pressure was on to get a plaice for Anna (she doesn’t ‘do’ herrings). Soon, the ebb current was fairly ripping through from left to right, making it difficult to hold bottom; as soon as the gear had been cast out, it was being dragged around to the right, putting a nice bend in the rod. 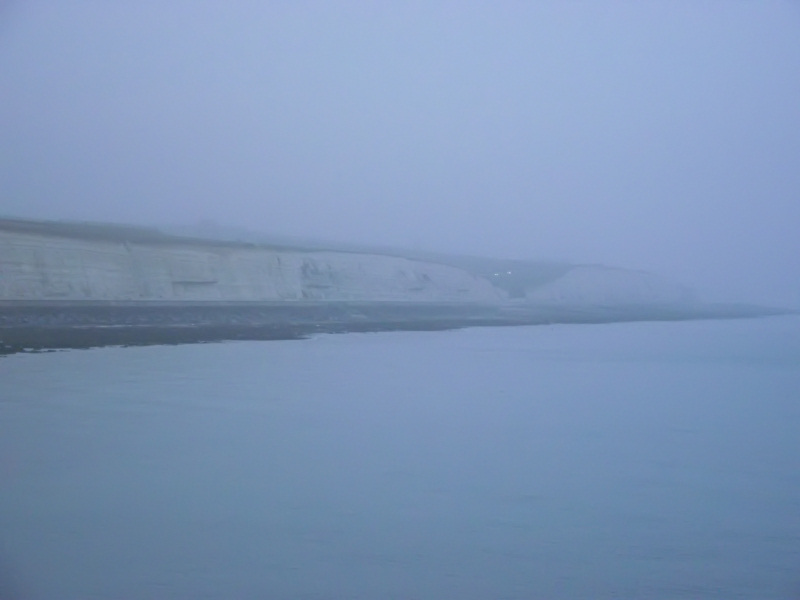 It was in these conditions and on the last knockings, that I saw my rod being pulled along the wall. Grabbing it and lifting, I could feel that there was a fish on. To my surprise, the plaice that came up was smaller than anticipated but still big enough for the bucket – as soon as Steve sends me the photo, I’ll add it here. Pressure was off and not long after this, I had to pack up and head for home, not really wanting to, I would have loved to have stayed through the rest of the ebb. That’s the trouble with work – it gets in the way of fishing! Anyway, not long now until we break up for Easter and the luxury of a month off. 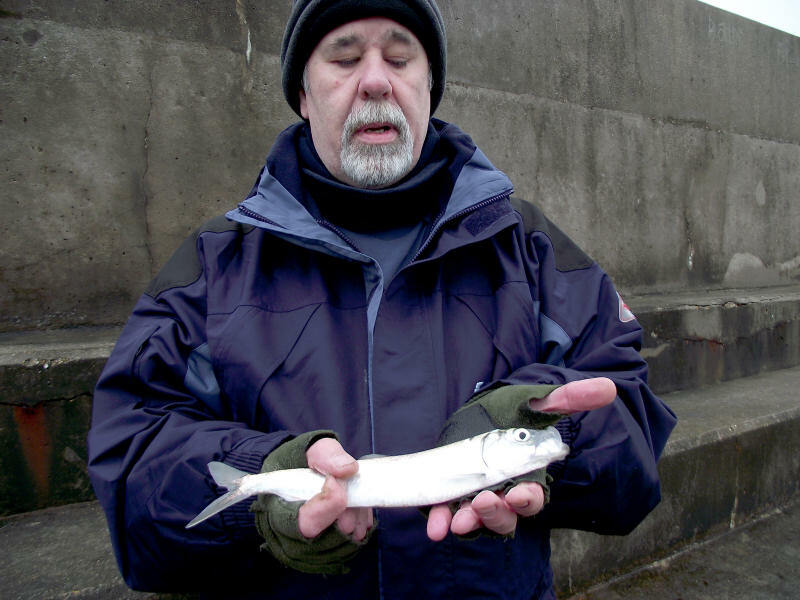 Saturday was the day for another crack at herrings and plaice at Brighton Marina. The forecast for the day was great, the tides were great and that meant it was going to be packed to the gunnels, so to avoid any disappointment, I had to be there early. I trotted up at around 6.30am and found myself at the head of a non-existent queue but It wasn’t too long before another hopeful turned up and was quickly followed by Fishyrob with a client and Frank, one of the wardens. Once Frank had unlocked the gate, We headed out onto the arm and settled into our preferred bays, out as far as we could get. I setup one rod with a simple running ledger, longish hook length ending in a size two Aberdeen hook. 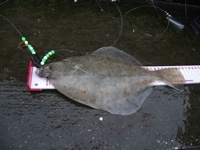 This was baited with black lugworm tipped with thin squid strip in the search for plaice. 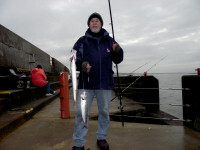 The other rod was rigged with a string of four, size 12 Sabiki’s and a two two ounce lead for any herrings. With the plaice rod cast out, it was time to start working the herring rod close in, where the herrings have been hugging the wall. The first one didn’t come in until about 8.30 but it was a decent sized one which would make excellent lunch. There then followed a steady stream of smaller ones but only ones and two’s. 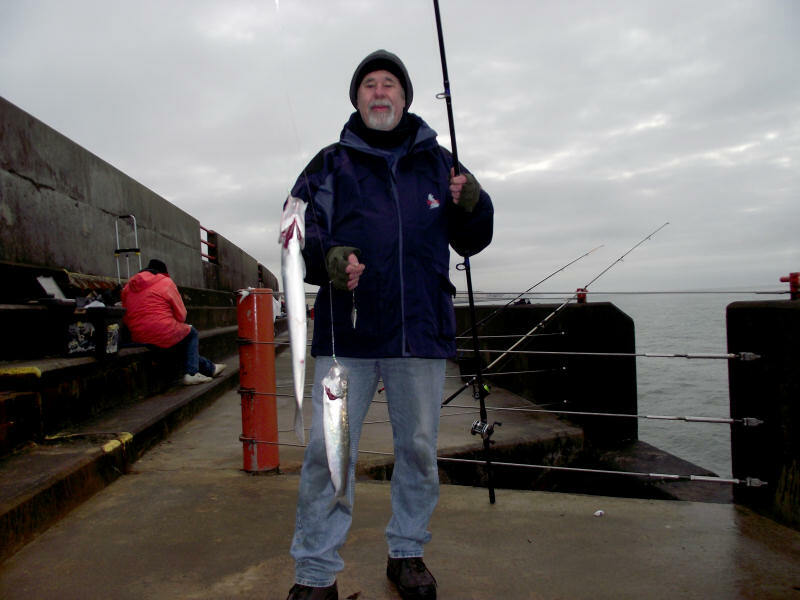 I had a brace of decent sized ones about an hour or so later which were followed by some smaller ones. By the end of the session, I had taken just over two dozen, which would make fine eating. 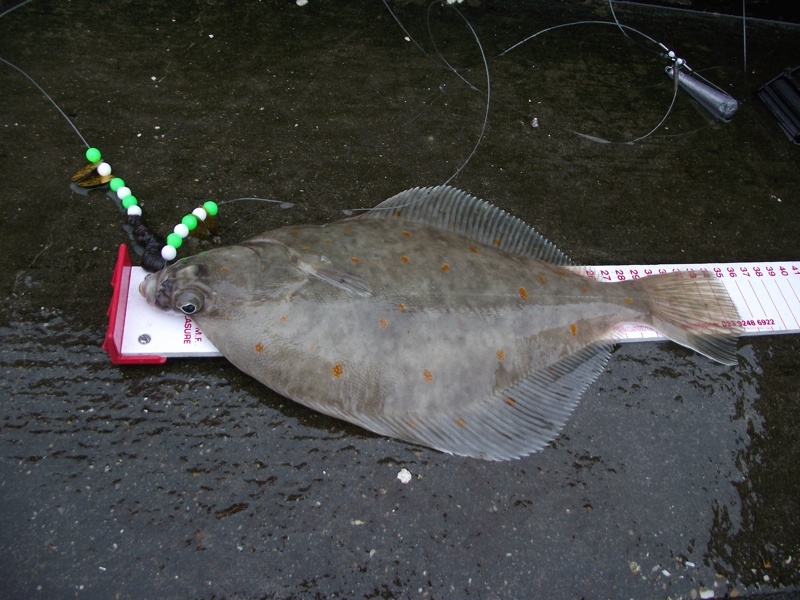 The plaice rod seemed unwilling to move and I was beginning to wonder if my fishing mojo had abandoned me to remain un-plaiced (sorry) in the day’s standings. 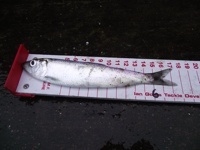 However, at about 9.30, the rod tip dipped down briefly to indicate some interest at least. I lifted the rod and felt some weight, and on reeling in, I felt the resistance of a fish. 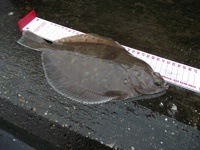 Within short time, a chunky small plaice was lifted up and over the wall. It wasn’t the biggest plaice in the world but it did mean that both targets for the day had now accomplished and it was another species ticked off the 2012 list. 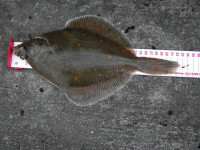 Another plaice fell to my bait a couple of hours later but sadly that was it for the session and by about 4pm I’d had enough and decided to call it a day and make my was home. 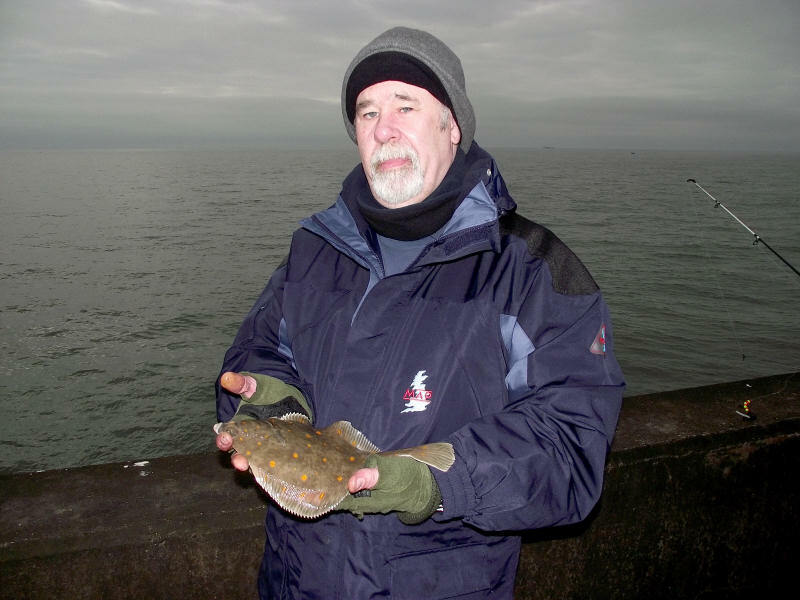 It’s funny but normally at this time of year, the marina would be devoid of people fishing off the walls but the mention of the excellent plaice fishing has made it busier than I can remember and it has certainly brightened up what would usually be a pretty crap time for a fishing nut. Dave and his crew from The Tackle Box are working hard to try and get the whole of the East arm up and running after all the damage caused. Let’s just hope for continued good weather, so that this work can be completed as quickly as possible.